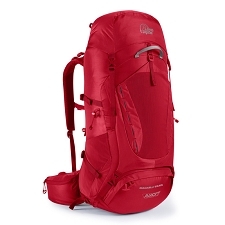 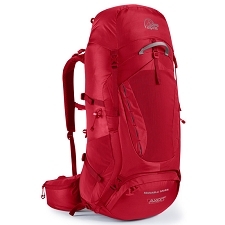 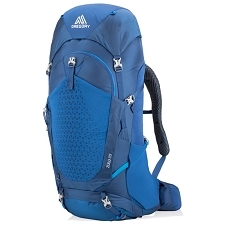 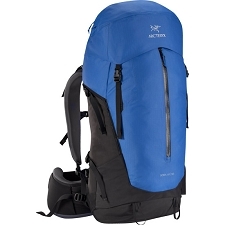 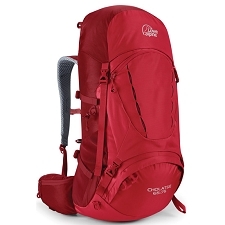 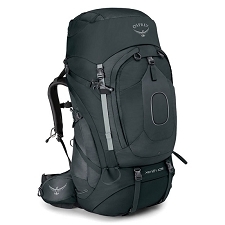 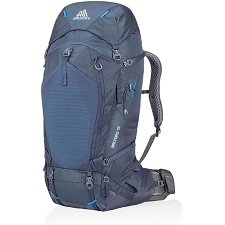 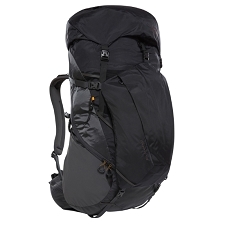 Large capacity backpack for multi-day treks and travel. 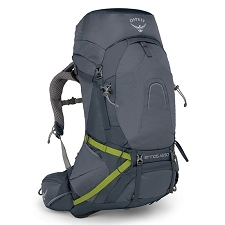 The Centauri is a real workhorse of a pack with plenty of storage space and excellent carrying comfort and is perfect for strenuous, multiday hikes where you have to haul all of your gear yourself over long difficult stretches. 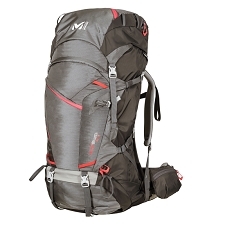 This pack's newly developed suspension system with two integrated frames provides efficient load distribution and great stability. 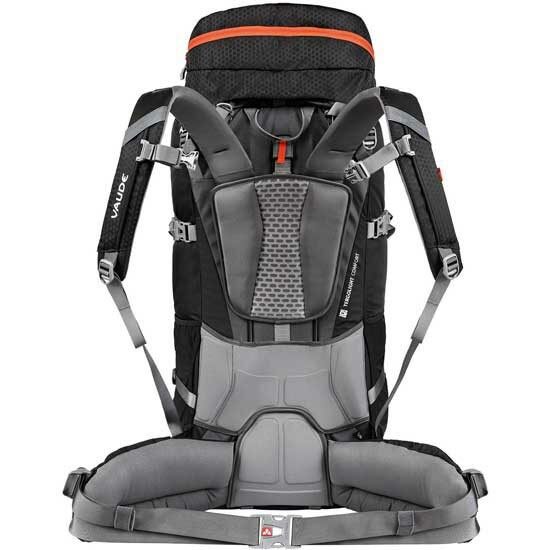 To meet the needs of different torso lengths – and for a perfect fit on your back – the suspension system, the load positioning straps and the shoulder straps feature continuous adjustability. 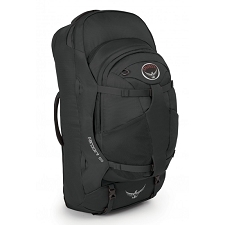 The padded hipwings, engineered to increase wearing comfort and stability, feature fast and easy fastening thanks to a "pull-forward" mechanism. 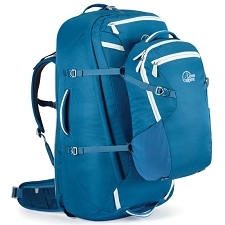 In addition to the obligatory and easily organizable inner compartments, this full-size backpack has a separate sleeping bag bottom compartment. 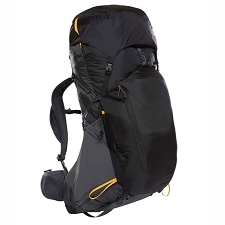 The adjustable and detachable lid features an inner safety pocket and an easy-access outer pocket. 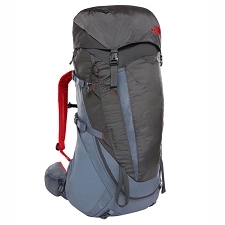 The hipbelt pockets as well as the mesh pockets on the side of the pack are easily accessible while wearing the pack; a cleverly engineered opening gives you access to your drink bottle. 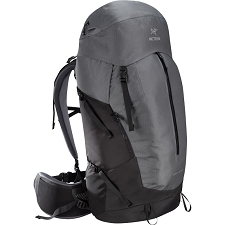 Anything that doesn't fit into the pack can be attached outside with lasered attachment points. 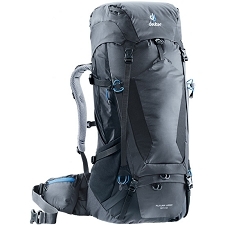 Trekking poles and ice tools can be attached to the adjustable gear loops. 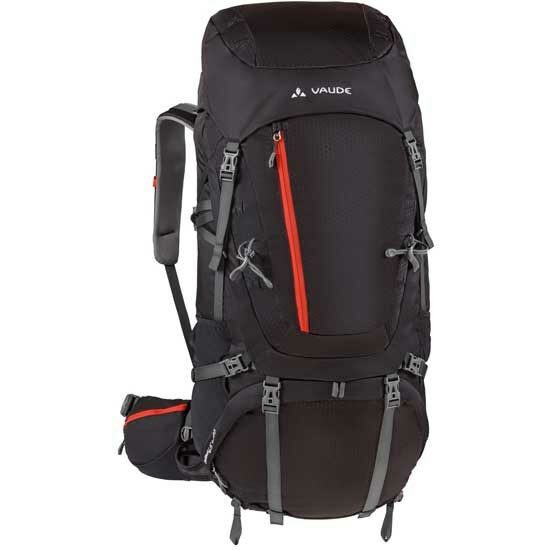 If your trip involves snow and ice, skis can be attached at the side over the compression straps with split buckles. 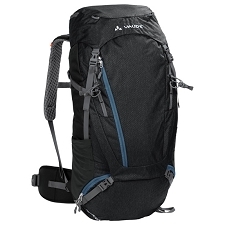 The lower compression straps can be closed either over or under the side mesh pockets. 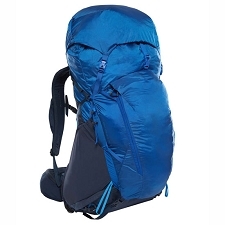 To protect the pack from moisture, this very robust model has an integrated rain cover. 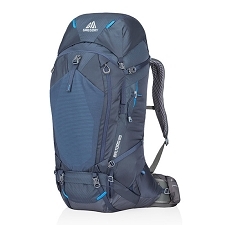 The lower compression straps can be tightened either over To protect your gear from rain, the pack also has an integrated rain cover. 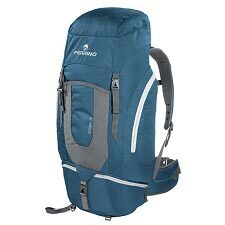 Dimensions: 88 x 41 x 27 cm.